It seems that every Hollywood diva, from Madonna to Julia Roberts, has hopped aboard the mineral makeup bandwagon. The popularity of these all natural cosmetics has prompted real-life beauty gurus to take notice as well. Why are celebrities and professional makeup artists so enthusiastic about foundation and blush created from finely ground mineral content? Consider these reasons to try the latest mineral makeup, and take advantage of our tips to help you shop for the best formulas for your skin. Mineral makeup consists of a combination of finely ground minerals, taken directly from the earth. Some of the most popular ingredients in these formulas include titanium dioxide and zinc, which explain the reason these products are also touted for their sun protection. However, what is not listed on the ingredient list is just as important as what is. Artificial dyes, fragrances and other potentially irritating ingredients are conspicuously absent from mineral makeup’s product labels. These all natural formulas have led many skin care professionals to turn to mineral makeup for dealing with even the most problematic client skin concerns. Most mineral makeup formulas are non-comedogenic, so they do not clog pores. 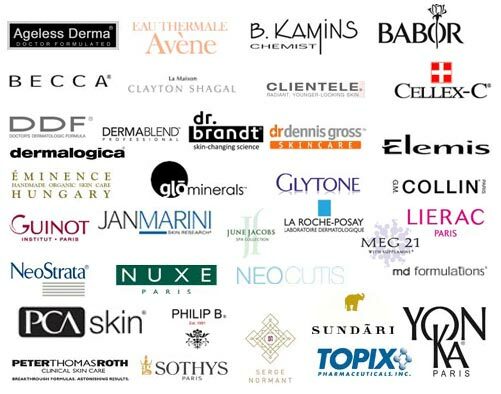 The majority are free from ingredients that could irritate sensitive skin. Mineral makeup provides excellent coverage while still looking natural. Many formulas provide some sun protection. The light-reflective ingredients can effectively turn back the clock on the skin. These numerous benefits explain why many dermatologists are now recommending mineral makeup to their clients, particularly those who have sensitive skin or chronic conditions like acne or rosacea. Mineral makeup offers the coverage they need without causing additional irritation or blemishes. However, choosing the right mineral makeup formula is critical to finding a successful match between your cosmetics and your skin. Unfortunately, the mineral makeup trend has led many cosmetic manufacturers to offer their own lines of mineral cosmetics. However, a lack of regulation in the cosmetic industry means “buyer beware” when it comes to choosing the right "mineral" formulas. Any cosmetic can be labeled a mineral makeup, as long as there is at least a little mineral content in the mix. It is important to read product labels to ensure the cosmetic you choose is filled with all natural mineral ingredients, without chemical additives like artificial dyes or fragrances added. One ingredient to watch out for in mineral makeup is bismuth oxychloride. This substance is frequently used in mineral formulas to enhance the glow of the skin. However, bismuth oxychloride has also been shown to irritate skin, and it can make some skin conditions worse. If you have sensitive skin or a chronic skin condition, avoid mineral makeup with this ingredient. Mineral makeup is one of the most popular trends in the beauty industry, and the plethora of companies manufacturing their own lines of mineral makeup indicates the trend won't be waning soon. If you want to try mineral makeup for yourself, make sure you choose a well-known brand and read the product label before buying. You may find that your skin has never looked so natural or beautiful.